Our 8th Day Tribal Crew Pack Contest Winners Are….. Thanks to One-Eyed Jack we get to close our last single pack contest with 2 (TWO) Winners!! Bonnie Anne is based on a real life pirate named Anne Bonny. Anne Bonny was born in Ireland and became one of the most famous female pirates in history. Little is known about her early life prior to arriving in the Bahamas. Most most modern knowledge about Anne stems from Charles Johnson‘s A General History of the Pyrates (a contemporary collection of pirate biographies, thought to be exaggerated with tales and accountings). She was fairly young when she married a poor sailor and small-time pirate named James Bonny who she met in America. The marriage apparently was a rouse as James thought he would inherit much of her father’s fortune. Too bad for him that Anne was disowned by her father and cut out of his will. Sometime between 1714 and 1717 Anne and James moved to Nassau. While in the Bahamas, Bonny began mingling with pirates in the local taverns. She met John “Calico Jack” Rackham, captain of the pirate sloop Revenge, became his mistress, and they had a daughter. 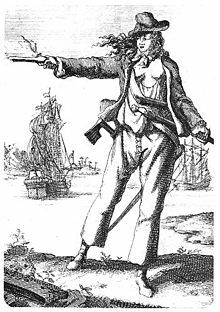 You can read more about Anne Bonny at Wikipedia! ..he must be related to Calico Jack Rackham..
We’re pretty excited about the Italy part! If you didn’t win today, you’ll have more chances for a Tribal pack give away. It’s time our special drawings on Saturday and Sunday begin tonight at 6:30!! Stay tuned for our contest announcement!! 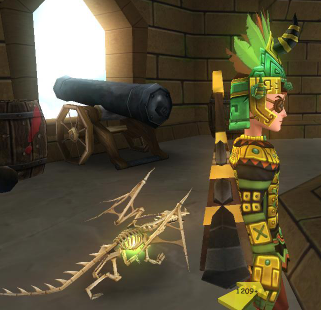 ← News – Tribal Pack Give Away – Day 8! thank you for the pack i will send a picture soon, is it possible for me to win another contest? We decided that if you win in this contest, you can’t win again. But you can certainly send in your answer and play along. And all our winners will be eligible for our next contest when it comes around! oh and just wondering if you are to make a fansite how would you get codes for giveaways? 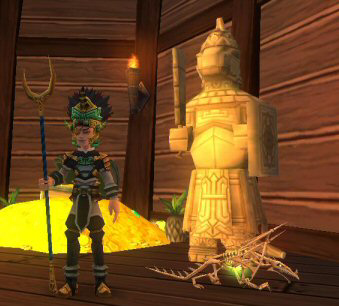 If you make a site for Pirate101 or Wizard101, you can submit your site to game’s website. If you’re approved as an official Fan Site, KI will give you promotional codes to give away to fans.